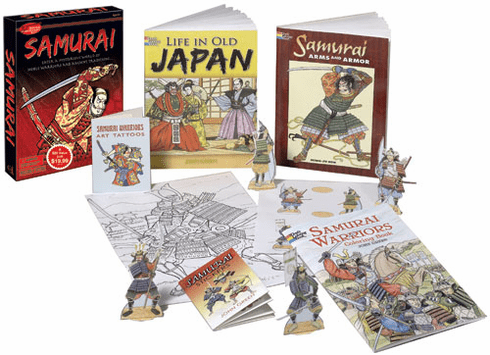 Historically accurate activities about noble warriors and ancient traditions - includes 3 complete coloring books! Samurai Arms and Armor Coloring Book. Life in Old Japan Coloring Book. Samurai Warriors Coloring Book. 8 stand-up samurai figures. 20 stickers. 4 art tattoos. 11 x 17 Color Your Own poster. Crayons.